Many parents fear that their children are not safe in or near the pools. However, they are making some common mistakes that can endanger their children's safety when it comes to swimming. 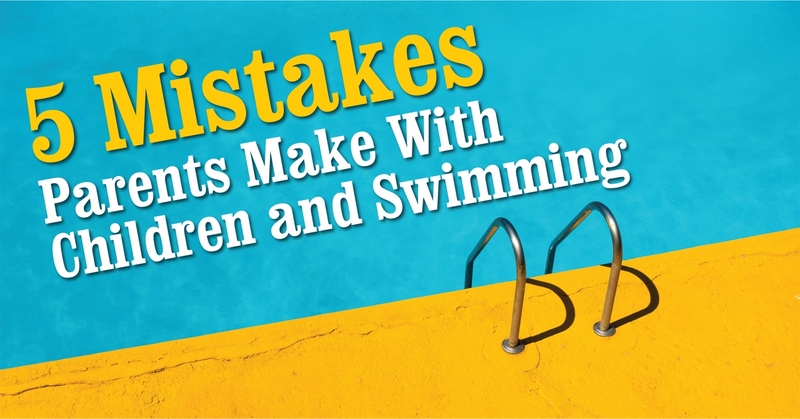 If you are not sure which mistakes you are making and you want to keep your child safe so that both of you can enjoy fun in the water, take a look at some of the most common mistakes and good ways to fix them. This is one of the biggest mistakes you can make. Your kids are never safe in the pool, especially not when they are alone. Never leave your kids unattended for any reason. They often get mischievous in these situations and start doing things that they otherwise wouldn't. "They will either run around the pools and trip or they will have a mishap within the water. No matter how well they swim or how great they are in the pool when you are there, they are never safe completely alone. Make sure that you always keep them safe," says Tasha Goop, a parenting blogger at Australian help and Oxessays. Never leave them in the public pool either without telling an adult to watch them and take care of them while they are in the water. Lifeguards can be great in crucial situations and they do an amazing job but they are not able to take care of everyone. They could miss your child getting hurt because they were taking care of another situation. Their attention is also not the same kind you would give to your child. It's far better to always leave them with a trusted friend. "You should always be careful not to leave your child alone in the house, for instance, if you don’t have a gate around your pools, jacuzzis or tubs. You should also forget about water wings as a successful tool in keeping your children safe," says Paloma Durham, a sports coach and blogger at Academized. The most important thing that you need to do is to make sure that your kids are safe and within your eyeshot so that you can see them. Some parents wait to teach their children to swim because they think that their children are too young. However, this is a mistake. A child can learn to swim steadily and pretty quickly and this could be really helpful to them in all kinds of situations. You will be able to let them swim freely and they will enjoy the water much more. Water wings and various other things make them insecure in water and prevent them from learning how to swim properly. While they can be helpful just to make them feel safe at first, these are essentially harmful to your child's overall swimming skills and security. If you teach them to swim, you can be more certain that they will be safe when they are alone in the pool and when they are home alone with the pool unguarded. CPR is crucial to every parent and adult. You never know when it can come in handy, especially if you have an active child. Pool activities can be really dangerous if not supervised or controlled so it’s always a good idea to have this knowledge. If it comes to a bad situation, you could save your child's life. education and always learn new things. Teach your children CPR as well or at least a simplified form of it so that they can always be of help as a first aid until someone more skilled arrives," says Olivia Hunan, a safety writer at Stateofwriting and Bigassignments. One of the most common mistakes parents make when their kid is missing is searching the entire house first, before searching the pool. It may be unlikely that your child has drowned but it's definitely the most dangerous thing that could have happened. Just remember that drowning is very quiet and quick. All it takes is more than 2 minutes under water. This is why your pool should be one of the first things you check if you can't find your child near you. Taking your kid to the public pool or having one at home is a great experience. It's fun for you and fun for them. However, their safety should be your number one priority. Just make sure that you are not letting fear rule your life and take away interesting activities because of potential - if not far-fetched - danger. Nora Mork is a mother, writer and lifestyle blogger at Ukwritings and Boom essays . She shares her knowledge by speaking at public events and writing columns for blogs such as Essayroo.